On January 24, 2018, Ann Marie was driving to pick up her daughter. 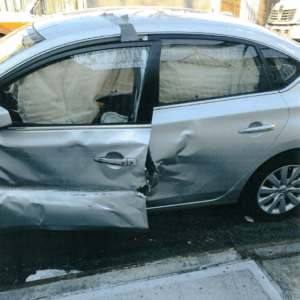 As she went through the intersection of Sutter Avenue and Pine Street in Brooklyn, New York, another driver was not paying attention and drove through the stop sign. The other driver crashed into the driver’s side (T-bone collision) of Ann Marie’s vehicle! 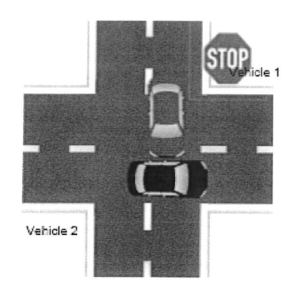 Since Ann Marie was in the driver’s seat, she felt the full brunt of the collision. Thankfully, the side airbags deployed to help protect Ann Marie. After the accident, Ann Marie was transported by ambulance to Brookdale Hospital Medical Center. She was evaluated and discharged home but returned to the emergency room on January 27 due to trouble breathing and chest pain. Further test results showed no abnormalities and she was again discharged home. Due to the incident, Ann Marie sustained injuries to her lower back (3 bulging discs), left shoulder, neck and left knee. She stated that her left knee “cracks and locks”. Prolonged sitting and standing became difficult and laying down on her left side was excruciating. The pain in her neck radiated to the left shoulder, and she indicated that the pain in her lower back was more severe. Ann Marie was required to attend physical therapy for several weeks. When her left knee failed to respond to minimally invasive and conservative procedures, she underwent surgery (chondral fracture to her left knee). Thanks to the recommendation of a mutual friend, Ann Marie was introduced to The Case Handler team at Pollack, Pollack, Isaac & DeCicco, LLP. 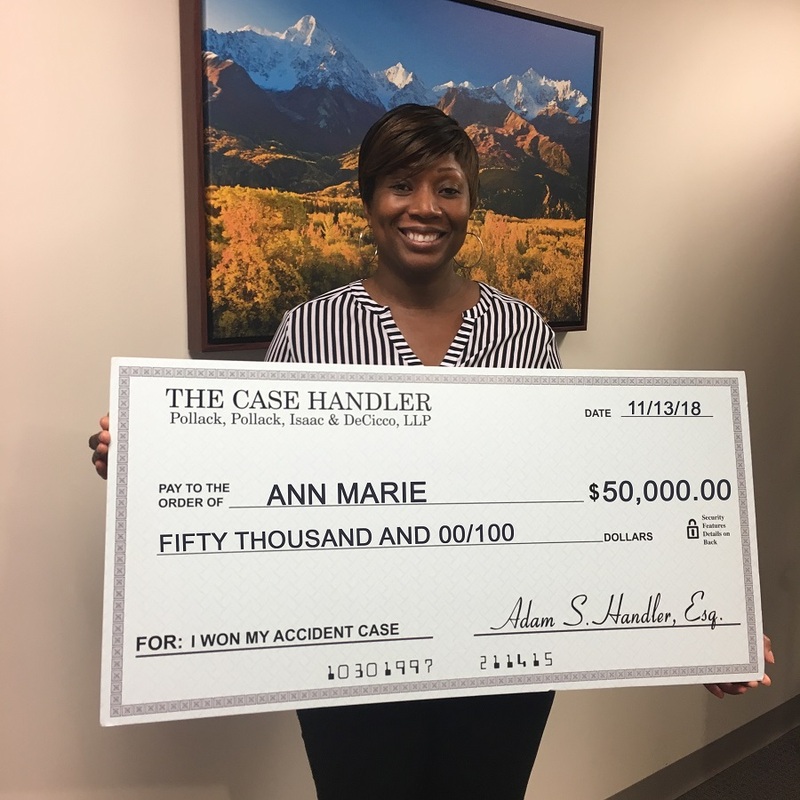 With the help of our meticulous car accident lawyers, Ann Marie’s medical bills were all taken care of, she had a new car 10 days after the accident occurred, and recovered the maximum policy limits from the insurance company…all of this within 5 months!